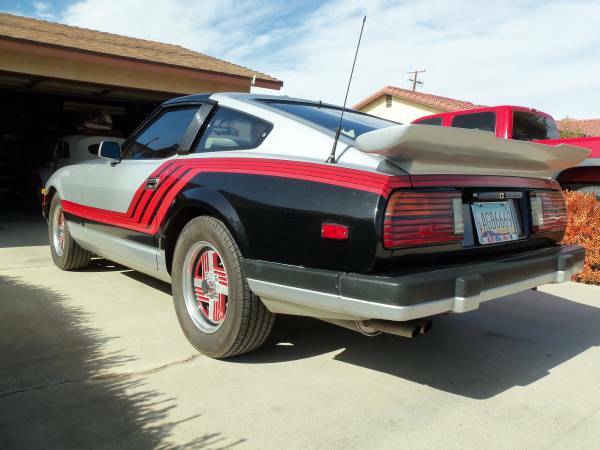 The S130 generation Datsun/Nissan Z-car is easily the least expensive of cars to wear the sign of the masked bandit, but this 280ZX is extremely expensive -- just what is going on here? Is this another insanely optimistic seller trying to fleece money from the unsuspecting public, or is this an example of the value of being unique? 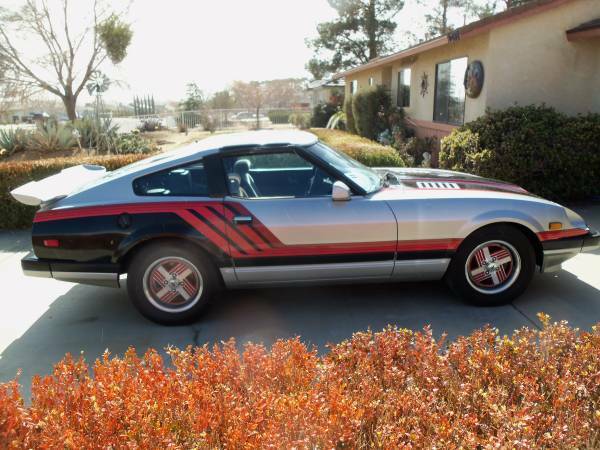 Find this 1982 Datsun 280ZX Turbo Pace Car offered for $21,900 in Apple Valley, CA via craigslist. Many OEMs have sold Pace Car versions of their sporty cars-- but they are commemorative Pace Car editions built to sell a few more examples in the showrooms -- this is the actual Pace Car from the 1982 Caesars Palace Grand Prix held in Las Vegas. This was the 16th and final round of the 1982 Formula 1 season, the last time F1 raced at Caesars Palace and Mario Andretti's last F1 race. Under the hood is a L28E inline-6 which is rated at 180 horsepower and 203 ft-lbs of torque, which was apparently too monstrous for the Japanese market and only sold overseas. 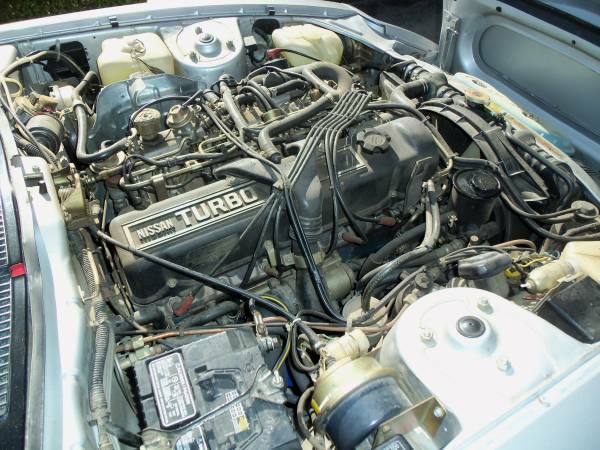 Various internet sources claim that the Turbo 280ZX was one of the fastest (to 60mph) new cars available in 1982 at any price, beaten only by the Porsche 911 and the BMW M1. In this case, too soon might equal a decade.